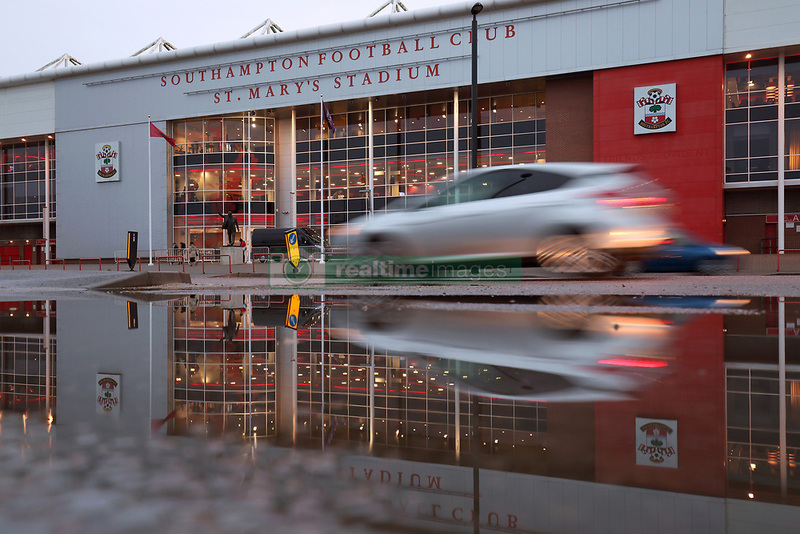 Cars pass St Mary's Stadium ahead of the Premier League match between Southampton and Crystal Palace. PRESS ASSOCIATION Photo. Picture date: Tuesday January 2, 2018. See PA story SOCCER Southampton. Photo credit should read: Andrew Matthews/PA Wire. RESTRICTIONS: EDITORIAL USE ONLY No use with unauthorised audio, video, data, fixture lists, club/league logos or "live" services. Online in-match use limited to 75 images, no video emulation. No use in betting, games or single club/league/player publications.